Over 80 years ago, American investment moguls Henry S. Morgan and Harold Stanley partnered with other backers to form the Morgan Stanley financial services firm. This corporation is an offshoot of J. P. Morgan & Co., which was and remains a household name in the United States and beyond. This S&P 500-indexed company surpassed a billion dollars in its first year and has grown exponentially since then. Morgan Stanley’s headquarters are in New York City, but this multinational enterprise has over 1300 offices in 42 countries across the globe. Morgan Stanley is a versatile company that offers a wide variety of services. Individuals, venture capitalist groups, businesses, governmental institutions, and organizations alike go to this firm for wealth management, banking, sales, trading, brokerage, investment research, portfolio guidance, and more. Morgan Stanley employs over 55,000 financial professionals who use their extensive expertise to advise clients and help them achieve their distinctive goals. In 2014, Morgan Stanley generated more than $37 billion in revenue and held more than $800 billion in assets. James Ritchie is one of Morgan Stanley’s top consultants, ranked as a First Vice President Financial Adviser. In the course of running his busy Irvine office, Mr. Ritchie ran into some technical difficulties. He had been using the same spreadsheets to track his clients’ accounts for many years, but realized that this outdated system just wasn’t up to the task anymore. A key component of savvy investment management and financial services is keeping up with the times. Mr. Ritchie was more than capable of adapting to changing business needs as new categories developed, but his spreadsheets weren’t. He needed a more dynamic system that could easily, effectively track new business models and financial components. This was a particularly troublesome spreadsheet situation because it didn’t involve just one workbook. To retrieve the client information he needed, Mr. Ritchie had to combine data from Morgan Stanley’s customized Windows program, Account Evaluator, as well as external finance software such as Thompson One and Morningstar. In addition, since he handles sensitive financial information, our team often couldn’t access the data directly. Mr. Ritchie was spending valuable time dealing with the hassle of logging into various systems, exporting data, and manually creating reports rather than coming up with new strategies to benefit his clients’ holdings. We needed to create a new Excel configuration that could aggregate data and import investment tracking tools from multiple sources. Creating an automated system for gathering data from external sources such as Thompson One and Morningstar. This required customized coding and liaising with these companies. Designing specialized spreadsheets for each type of information, such as GIC (Global Investment Community) Allocation, SMAs (Separately Managed Accounts), preferred funds, and more. Developing formats for two presentation-ready printable reports, one for new clients and one for existing clients. 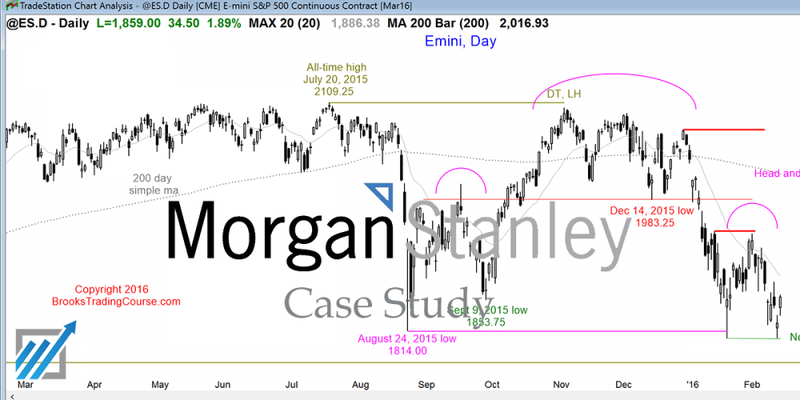 New client reports include a pie chart of preferred equities from Morgan Stanley and the client’s existing portfolio, using information pulled from Morgan Stanley’s internal system and Mr. Ritchie’s files. Existing client reports include pie charts for current holdings and recommended changes. Both reports also include listings for equity holdings and fixed income. Our customized code populates these reports with equities, bonds, and stocks based on clients’ needs and preferences. Using Excel pivot tables to capture all categories of financial information for analysis and reporting. Pivot tables are a function in Excel that highlights certain types of data based on user specifications. The pivot tables we programmed allow Mr. Ritchie to view only the information he needs to make a certain projection or write a report. He no longer has to sift through every row and column of his spreadsheet manually. Adding specialized checksum formulas (tools that point out clerical and mathematical errors in worksheets) so that Mr. Ritchie can automatically ensure all volume is accounted for. At the end of this project, Mr. Ritchie had a fully automated, flexible spreadsheet system designed to meet all of his clients’ current and future needs. Are you struggling with a clunky spreadsheet system? Could your business use customized Microsoft solutions? Contact Excel Consultant to find out how we could help you.